snow day! it was only supposed to snow an inch today, but we definitely got well over two. the roads were terrible, so i didn't go to my riding lesson today... and i don't think i'll be going the rest of the week either because it's not going to get out of the twenties (Fahrenheit). yikes! 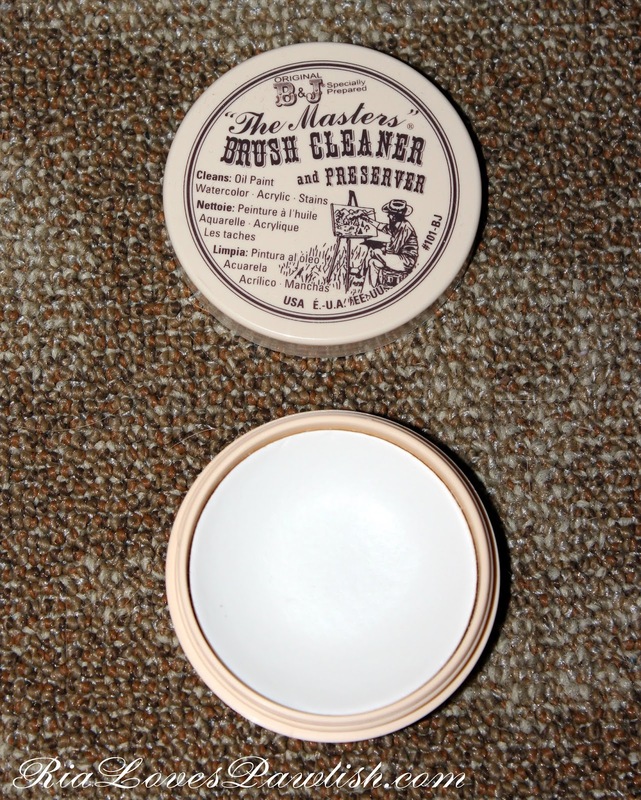 today i have a brush cleanser to share with you all... i've been meaning to blog about it for a while, but i kept forgetting about it! it's The Masters Brush Cleaner and Preserver, which you can find at craft stores in the US... it's generally used to clean paint brushes. i use this soap to clean my makeup brushes, and it's definitely my favorite method. i've tried loads of ways to clean makeup brushes, from liquids to spray, and this solid soap is the way to go. it has a lemony, citrusy scent which smells nice and clean without being overpowering. i love that this cleanser helps condition brushes... if you have an especially dry brush, you can even let the product dry on the brush for a deep treatment! this product is so easy because all you need to do it get the product in the jar a little wet, dampen your brush, and then swirl it around in the jar! super simple, and gets your brushes SO clean. just make sure to rinse all the soap out the brush hairs, squeeze excess water, and dry them as you normally would. i lay mine down on a towel! a little reminder, when cleaning your brushes, try your best not to get water down in the ferrule (the metal part that joins the handle to the bristles) as this can loosen the hairs and cause shedding... or worse, cause the brush to fall apart completely! here's a look at the packaging... i had to stick it back together as i was so excited to get it i just ripped right in! here's a look at the product itself... doesn't look like much, but i promise it's amazing! 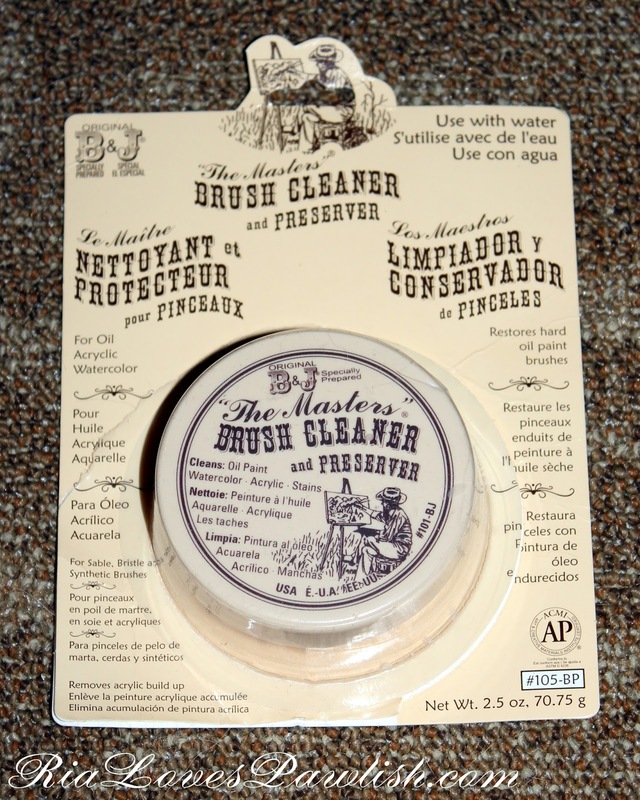 you can find The Masters Brush Cleaner and Preserver at craft stores for around $10. i got mine at Michaels! THIS is the direct Amazon link... it's currently priced at $8.16.